In the fall of 2001, with cooperation and guidance from the Center for Conflict Resolution, Salisbury University began offering one of the first undergraduate degree programs in the field of conflict resolution at a public institution. This program expands on the previously established undergraduate minor in Conflict Analysis Dispute Resolution that was created in the early 90’s through the efforts of Dr. Phillip Bosserman. 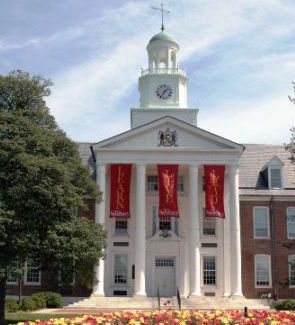 In 2009, Salisbury University began offering a Master of Arts degree in addition to its undergraduate offerings which will assure Salisbury University a place in the burgeoning field of dispute resolution, and further expands the Center’s contribution to social changes. These academic programs are just one way that the Center, in partnership with Salisbury University, is attempting to challenge students to explore conflict in a whole new light. The ultimate goal of these programs are to devalue adversarial and violent modes of resolving conflict. In doing this we place an emphasis on nonviolent, collaborative processes and techniques of conflict resolution. Therein providing tangible ways for individuals and groups to communicate constructively, thoughtfully, and compassionately. By teaching peace you lay the foundation for others to one day live the dream of peace. Today more than ever our world needs motivated individuals who believe that change can only come with hard work and dedication. If you are one of those people or if you are merely someone who is tried of a world dominated by conflict and strife please check out our CADR educational program.